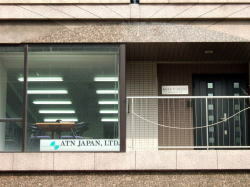 Dec. 1991: Established as Japanese Agent of ATN Microwave, Inc. (Boston, Massachusetts, USA). May 1998: Opened an office in Yokohama, Kanagawa Prefecture, Japan, for expansion of business. Dec. 1998: Untied capital alliance with ATN Microwave, Inc.